Foster effective relationships between the Indian-American community (including its business, civic and religious organizations) and the larger community across the State of Delaware of which we are a part. Furthermore, the Commission seeks to be a voice and advocate for the Indian-American community, both by the promotion of Indian cultural, heritage & political awareness through educational programming and by disseminating social service and other relevant information throughout the community. The Commission is also committed to promoting cross-border economic and business development opportunities for any business in Delaware desiring to export their products and services to India, as well as for any businesses in India wishing to expand their footprint into Delaware. Meet the commission members that make up the Delaware Commission on Indian Heritage and Culture. The Delaware Commission on Indian Heritage and Culture meets regularly to discuss affairs pertaining to the commission. 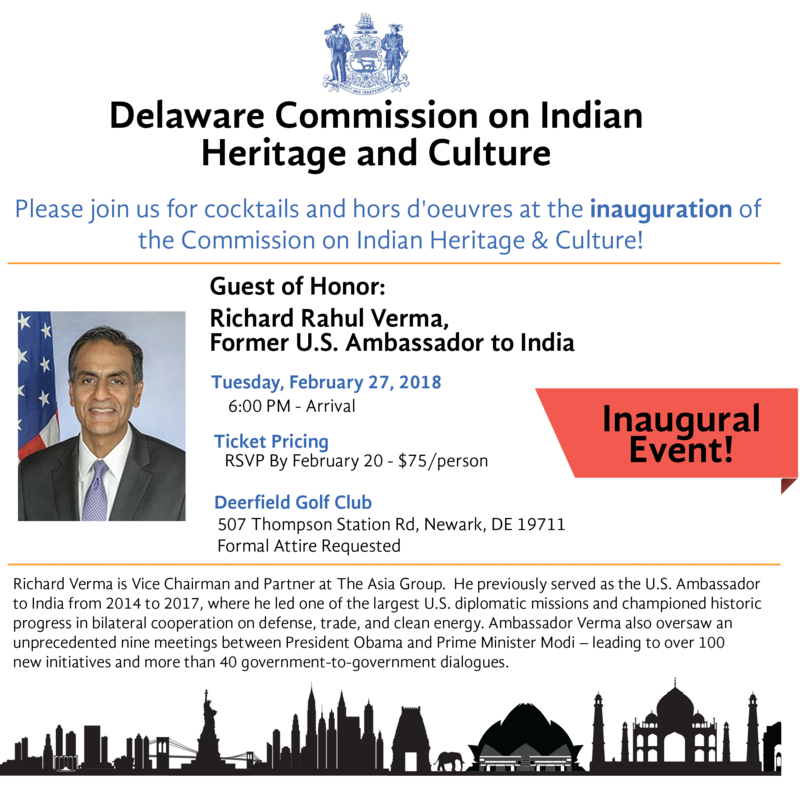 Discover what makes Indian heritage and culture special and how we celebrate it here in Delaware.